I’m a bit of a hermit crab during winter – I do like to stay at home and be warm and snug in my shell. For me, July has been very social. Last Saturday I went to Bogan Bingo with girlfriends, last night I went to the Bunbury Entertainment Centre with my sister for a Michael Jackson tribute show, and next Friday I have our annual work party end-of-financial year awards night in Busselton. All three events will involve fun music and dancing and reminiscing. 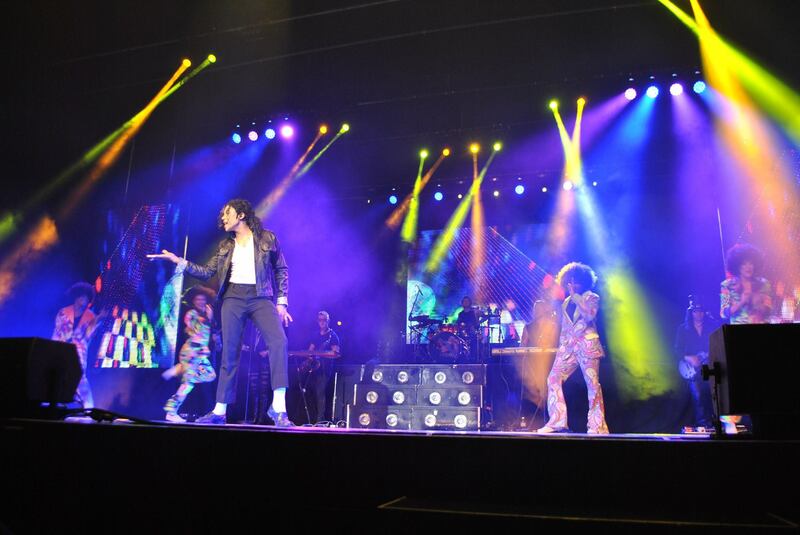 Photo is from the Michael Jackson History Tribute Show Facebook page. Last night’s Michael Jackson show in particular has me feeling very nostalgic this morning. I had a chance to see Michael Jackson on the History Tour when he visited Perth in December 1996. I didn’t go. It felt like too much money or too much trouble, and so I never saw Michael Jackson live. It struck me as funny and a bit sad last night in a tribute show that was good fun, but was always going to be a bit kitsch and cheesy – that I’d paid $79 to see a ‘fake’ Michael Jackson, yet I’d baulked in years before about paying to see the real deal. I think the lesson in this is, if you can afford it, and if one of your favourite performers comes to a venue near you – do whatever you can to get tickets because these performers won’t be there, or won’t be at their peak forever. I’m thinking too of Prince, who toured Perth just a few months before his death earlier this year. Hubby and I went with friends to see Bruce Springsteen in Perth in February 2014 – and it goes down as one of the best things I’ve ever done; a lifelong memory. There, a non-writing post – but sharing what’s on my mind this Saturday morning. Hope your weekend is shaping up to be fun.